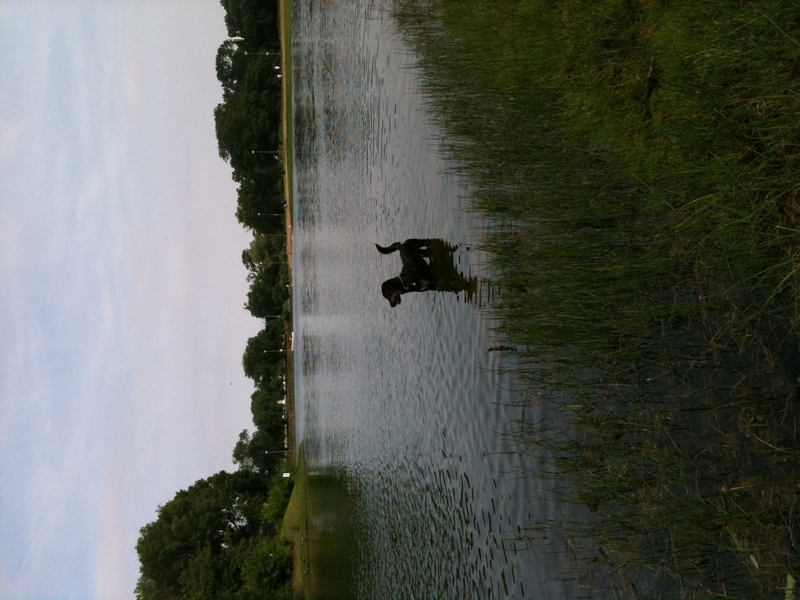 A sure sign of summer: the reservoir in the park has been filled up for swimming. And Saro has been loving it! Here he is eyeing another dog across the water. 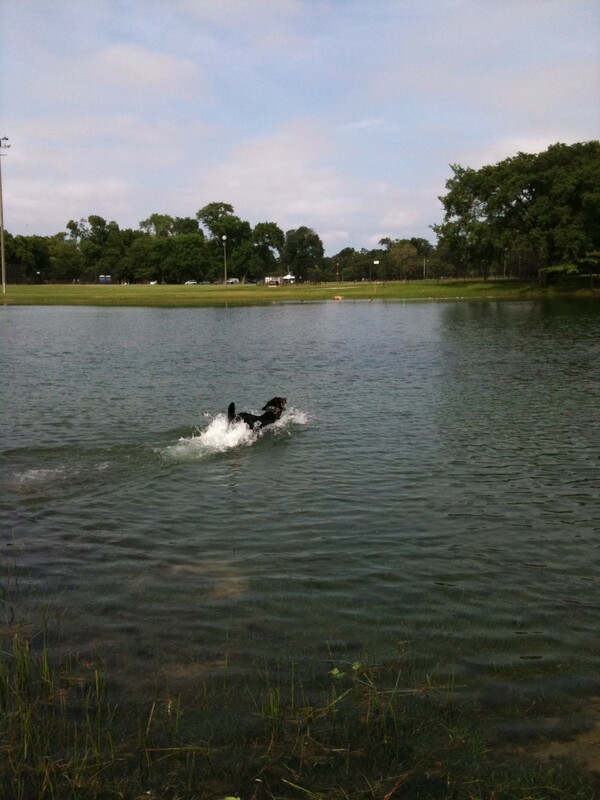 And here he is romping in the water like a goof. Here’s a shot of our bountiful garden. The greens are really healthy and wonderful! 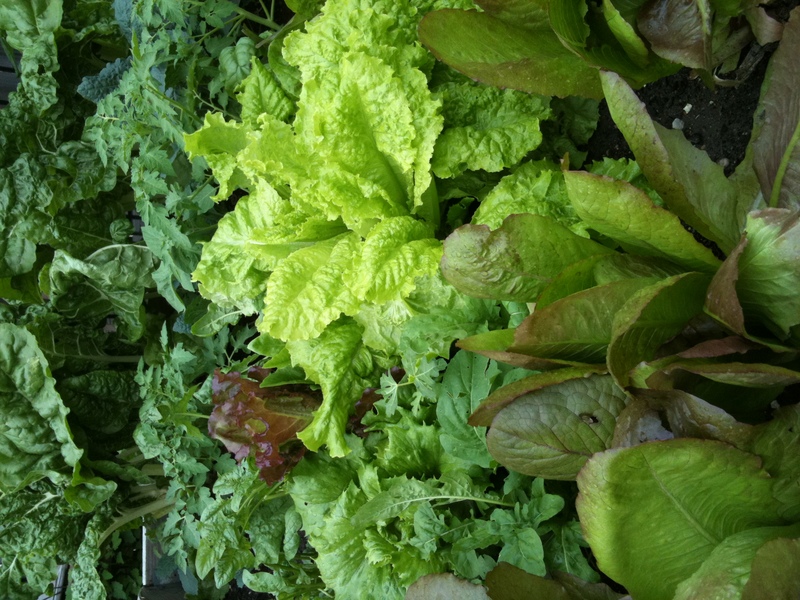 We have Red Romaine, Mixed Lettuces, Spinach, Kale and Swiss Chard. All ready to eat. The race to include greens in every meal has begun. 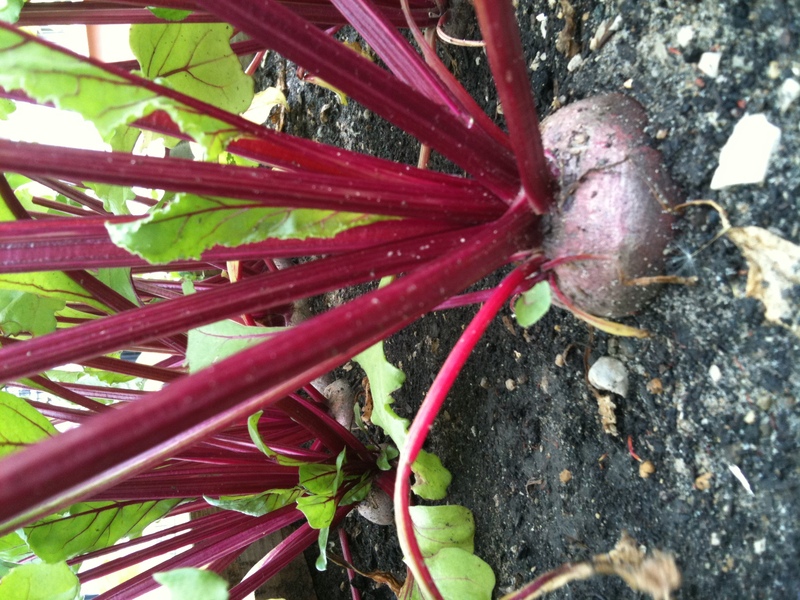 And the beets are almost ready! It won’t be long before we’ll have green beans, snap peas, too many tomatoes, okra, red peppers, zucchini, cucumbers, carrots, broccoli and Brussels sprouts. Well, that’s the plan anyway. We’ve had a bit of scoundrel disturbing the peace. A rat or a bunny (I choose bunny) has been burrowing in the garden beds and eating the tomato leaves. We’ve been keeping up with the garlic/cayenne spray and so far that (and the rain) has kept the rascal at bay. I’ll be back tomorrow with more yoga reports!